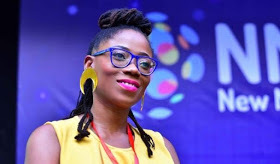 OAP, Tosyn Bucknor is dead. According to reports, Tosyn who got married to her German beau, Aurelien Boyer, three years ago, was found dead at her home by her husband last night when he returned from work. She was 37 years old and was born with sickle cell anaemia.